“In 15 years in this market, a turnout like this is extremely rare and very impressive. It truly speaks to the excitement surrounding Shearwater,” commented Amber Williams, Marketing Manager at Lennar Homes. “We were extremely pleased with the overall turnout at the Dusty Shoe event. Shearwater is such a beautiful community and we’ve been so excited to show it off along with our newly-designed homes. The overwhelmingly positive response we received from both realtors and future homeowners further confirmed that Shearwater will soon be the best community in St. Johns County,” commented Chris Shee, a partner at MasterCraft Builder Group. The 1,500-acre community will feature more than 600 acres of preserved natural habitat and 13 miles of trails. A kayak launch on Trout Creek, which borders the Shearwater property, will allow residents to kayak or canoe from Shearwater all the way to the St. Johns River and beyond without stepping on dry land. “With Shearwater’s Amenity Center starting to take shape, roadways in place and model homes under construction, homebuyers are really beginning to visualize what the Shearwater lifestyle will be like. The energy and excitement of the homebuyers is truly overwhelming,” commented Suzanne Maddalon, Vice President of Marketing for Freehold Communities. 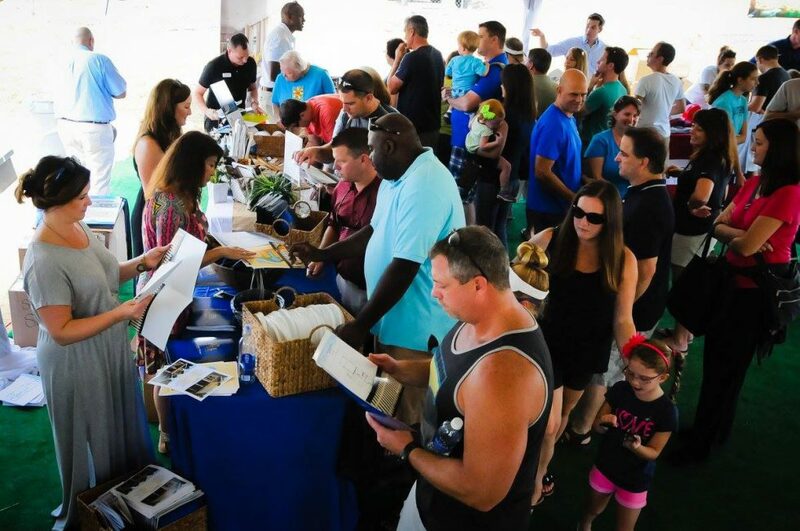 During the Dusty Shoe event, homebuyers were able to meet with Shearwater’s home builders: David Weekley Homes, Lennar, Richmond American Homes, and MasterCraft Builder Group. Guests obtained floor plans, renderings, and information about each builder’s construction approach and philosophy.